Applying the economic theory of clubs to the biological literature on schooling fish, this paper develops a 'selfish fish' club-theoretic paradigm of why fish join a fish school, and arrive at the following conclusions. A selfish fish: (a) joins the fish school because it derives hydrodynamic benefits (a club good); the selfish fish is a 'quasi-free rider'; (b) has no incentive to completely free ride on the benefits of the club good, because it will be, literally, left behind by the school; the fish school is a self-enforcing exclusive club; (c) has no incentive to shirk leadership role in the school because of the role reversibility of leaders and followers; (d) derives benefits from defense, another club good, via the many anti-predator defensive devices provided by club members; (e) has no incentive to discriminate against odd-looking outsiders, since odd-looking fish in a fish school are attacked by predators more frequently than look alikes. But outsiders display xenophobia toward insiders because outsiders do not wish to become prime targets for predators; the result is the formation of homotypic fish schools. Finally, (f) since escape is the main anti-predator defense manoeuvre, the 'any-one leader' rule for making collective choice of escape is the optimal decision-making rule for members of a fish school; this explains the leaderless, completely decentralized form of organization of fish schools. 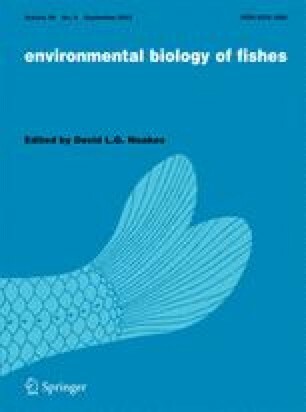 This paper thus contribute to new and deeper insights into various aspects of the bioeconomics of schooling fish.